The toughest and craziest cases always seem to come through the door on the night shift, which is certainly true for San Antonio Hospital on the new NBC drama series The Night Shift. Saving lives is a huge challenge in an underfunded hospital, so the team of adrenaline junkies who do just that, on a nightly basis, push the rules as far and as creatively as they can. From show creators Gabe Sachs and Jeff Judah, the show stars Eoin Macken, Freddy Rodriguez, Jill Flint, Ken Leung, Brendan Fehr, Robert Bailey Jr., Jeananne Goossen, Daniella Alonso and JR Lemon. During this exclusive with Collider, actor Brendan Fehr (who plays Drew, a former Army medic turned doctor) talked about how he came to be a part of the show, how much fun he’s had developing the character dynamic, the research he did for the role, being as genuine as possible in bringing this character to life, and that he’d hang out on set, even when he wasn’t working. He also talked about his past and present colliding, with panels at the ATX Television Festival for both his current show, The Night Shift, and the 15th Anniversary of his previous show, Roswell. Check out what he had to say after the jump. BRENDAN FEHR: We shot this in November of 2012. Once they started casting, it was really quick. I went in, and then they called me back the following week for studio and network. I went in for that, and then another week later, we were set to go. It was an early start for the pilots of 2013. Just because of the nature of the character, I had heard that a lot of people were turning down auditioning for it. My agent told me about the character, and I wanted to read it because you never know. I did a couple of films with Kerr Smith, and I remember how all that went down [on Dawson’s Creek]. He didn’t know his character would be gay. After he signed on and was doing his thing, they were like, “Oh, by the way.” They really can do anything with your character, after you sign on, and that would have thrown me. But with this one, I knew what I was getting into. I’m an actor, I’ve got a family and I need a job, so I was going in [for the show]. And it had good pedigree behind it, with Gabe Sachs and Jeff Judah, having worked on Freaks & Geeks and a number of other things, and talking to them in the process of it. They were great. Before they called me in for the studio, I wouldn’t say I was getting cold feet, but I didn’t know if it was still right. Because it’s not a movie, and you’re not signing on for one thing where you know the beginning, middle and end, and then you walk away, it could be on for seven years, you don’t know what storylines they’re going to give you, you don’t know how far or not far it’s going to go, and you don’t know how it will be developed. You’re taking a risk, to a certain degree. I knew they couldn’t tell me everything because they didn’t even know, but I called Jef Judah at nine or ten at night, the day before the network, and I was like, “I just need you to tell me what you’re thinking about for this guy, in broad strokes, but as specific as you can.” I was on the phone with him for about 45 minutes, and we just talked about it. He didn’t sell me on the character. I was sold on it, by the end of the conversation, but he wasn’t trying to pitch it. He was like, “This is who this guy is. This is what he is. This is what we want to do with him. This is how we see him. And we’ll listen to you. Bring your ideas to the table. We won’t always do what you want, but we’ll certainly listen and take it into consideration.” And I just felt like I could trust him. Hollywood is full of guys who say one thing, and then do another, but he just didn’t seem like that guy. Neither of them did. So, I went in the next day and thought, “If you don’t want me to do it, God, close the door. But if it’s open, I’m walking through.” I ended up getting it, and I’m glad I did. How much fun has it been to work on and develop the dynamic between these characters? FEHR: All of the relationships on the show feel very organic. The writers saw who got along and who riffed well off of each other. I think we can all do that with each other, but obviously there are varying degrees. Gabe and Jeff are just observant, that way. They saw who was poking who, who had the brother-sister relationship, and who had the buddy-buddy relationship, and they’ve used that really well. And then, they wrote these great stories very organically. Through the relationships, they learn things about each other, and the audience learns things about them. Instead of telling the audience, we show the audience through the relationships, and that’s what life is. On this show, someone is gonna get hurt and we’re gonna save a life. But, I don’t think that’s what people really care about. I think they care about what these characters are going through, in saving that life, what they have to reveal about themselves, what they have to hide about themselves, and how they have to compromise and put pride aside, or come out with their chest puffed up because they got it done. It’s a show where you want to be hanging out with these people, and I think that’s great. You feel like you would want to participate in this group’s lives, rather than just watching them from afar. That makes it special, and that makes for a successful show. The relationship between Drew and the male nurse, Kenny, is a great dynamic. How was that to play out? FEHR: Me and JR [Lemon] hit it off pretty quick. We’re in the same boat. Kenny has probably been there longer, but Drew being a second-year resident has that hierarchy of doctor over nurse. Drew can still probably pull that rank, but he respects the fact that Kenny has got seniority there and probably knows more than him because he’s the guy who gets to roam around and get all this information. In that sense, we’re equals. Drew is above the other residents, but he still looks up to TC and Topher. That’s a fun relationship. I always love working with JR because we try different things. He’s one of my favorite guys on the show, for sure. We get along really well. That is a great relationship. With so many different layers to this show, is there one aspect that you were most interested in exploring? FEHR: The military one is really interesting. That’s one thing that we wanted to push. We reworked the pilot a little to get more of that into there because it tells a bigger story about how these people are. They were willing to give up their lives for their country, to save people. It says something about these characters. They go from that to the ER on the night shift where they’re hanging on by a thread. They like being in the muck. It puts the focus on something other than themselves. That becomes really interesting. The show uses that element to put the spotlight back on them through their relationships. What sort of research did you do for this? FEHR: The first thing I did was read a lot of stories about Army medics because that covered both. I got a feel for the Army aspect of it that way. The medics generally see the worst of the worst. They see everything. They’re working on their friends, and they’re working on their enemy. The person that was just firing at them, trying to kill them, five minutes ago, if an Army medic stumbles upon him and he’s still alive, he just goes to save his life. It wasn’t a matter of, “How much do I like you?” It’s a life. And that really struck me about the Army medics. In a hospital, there’s not anyone who’s generally trying to do you harm. You’re generally given a backstory about what happened to them, but not about their life, so you get to work on saving their life. But you know whose lives you’re saving overseas, in the Army, to a certain degree. You know whether’s it your guy or a bad guy, and it’s generally not anybody in between. The fact that they cared for the bad guys, medically, as much as they did, they would save their lives and then take them away and put them in prison. That’s the goal for my character. My character understands rules and procedure, but he’s willing to bend it and break it, just like everybody else is. TC is at a point where it just does not matter. He’s seen so much and been through so much. There’s stuff in his past where the rules are the last thing on his mind. My character is still juggling the rules a little bit, in his head. There are varying degrees of what being a medic in the Army will do to you. And we set it in San Antonio, where they have the Intrepid, which is the big military facility. It just adds a different dimension. I’ve never been overseas. I can only imagine what that’s like. Was this an exhausting shoot? FEHR: No, it wasn’t too exhausting. With nine characters, we had some time off. When it’s not your storyline, you get some time. I found that I had enough time off. And I enjoy working, anyway. You’d find me and Robert [Bailey Jr.] on set, a lot of the time, when we weren’t working. We just enjoyed the people. I’d golf all day, and then I’d show up for the last three hours that night. My character is exhausting for different reasons. The fighting was a lot of work. Rehearsals for the fight scene and getting that done was exhausting. We’ve all wanted to hide something from people, on some level, and it’s exhausting doing that. And it’s exhausting being someone you’re not. As an actor, it’s exhausting being someone else. It’s not physically demanding, but it’s mentally demanding, if you do the job the way you should. You want to leave yourself at the door, and you want that character’s mannerisms and characteristics. I just really wanted to tell the story as genuinely as I could. How surreal is it to have panels for The Night Shift, as well as the 15th Anniversary of Roswell at the ATX Television Festival, and have your past and present colliding, in that way? Did you realize it had been that long since the premiere of Roswell? FEHR: I realize it all the time, when girls of a certain age who were fans of the show are like, “He was on Roswell!,” to their daughter. And then, in my head, I realize that they were three years old when the show came out. I still equate my audience to 22-year-olds, but they were seven, at the time, so they have no clue. So, I’m still reminded of how long ago it was, all the time. It will be interesting. I’m at that point where I have so much farther to go, I hope, but I’ve really enjoyed the journey. I’ve always been looking ahead, which is a good thing, but getting married slows you down and kids slow you down, a little bit. You look ahead, but you’ve gotta learn to enjoy what you have. And then, when your kids get older, you look back. I’m at that point, especially with Roswell. It was a milestone. It wasn’t the biggest show in the world, but it was popular. It was loved. I had a lot of fun on it. I wish I had the same attitude and temperament about it then, as I do now. As a cast, we all had a lot of fun and we all did our jobs, but I don’t think we were as appreciative for that opportunity as we could have been. I’ll speak for myself and say that I certainly loved it, but I was already moving on to bigger and better things, in my head. I just think that, ultimately, that’s part of the reason why it got cancelled. We didn’t love it as much as we should have. Jason Katims couldn’t make us love that show. We were just naive or spoiled, on some levels, and we were brats. We were fun, but it’s almost like we didn’t deserve it. And that was a great lesson for me. Looking back, I’m like, “I wish we could have ridden that out and just been participatory in it, even more so, with our heart and soul.” I love that character. I love Michael Guerin. 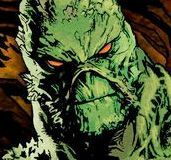 I love where he came from. I loved doing that show. Distance makes the heart grow fonder, a little bit, but there’s a certain maturity level that just comes with experience and growing up. I’m excited for the festival, to go back and be able to appreciate it. And then, to have a show that I love as much as The Night Shift, and to have a cast that’s just the best cast that I’ve worked with, and to have those creators, at the same time, is going to be awesome. I can see where I’ve been and where I’m at. I feel lucky about it. It makes me smile and makes me happy. There have been some long stretches, in between, of not really doing what I want to be doing and not working at all, and just struggling and making it through. I’ve always managed to keep going. There are going to be more books in between, but those are the two bookends. We don’t know what the future holds, but that’s me, as an actor, from start to finish. It’s fun. I think we’re much more appreciative now, and that’s good. It’s amazing how many people still love Roswell. Everyone always asks about a movie. I haven’t even thought about it. That’s way off my radar. Obviously, if someone like Katims brought something, I would read it because it’s Jason Katims and he’s great. But, it’s not anything I would pursue on my own. Some things, you just leave alone. As much as you would like to bring them back, it’s not always a great idea. Usually, you’re like, “Should have just let sleeping dogs lie.” But just the fact that there’s still that enthusiasm about it, it makes me excited to go to the festival and talk about it and be able to share stories with fans about it again, looking back after 15 years, and getting the other actors’ and Jason Katims’ take on it. As the creator, he’s gotta have a different perspective on how everything went down, and how enjoyable or how hard it was. 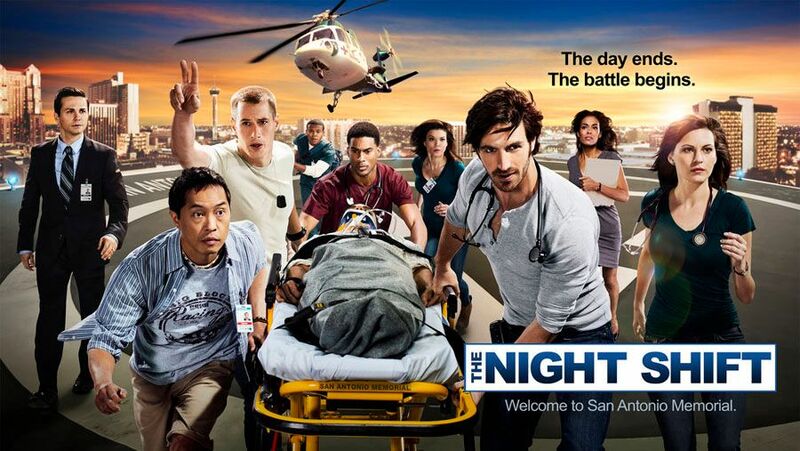 The Night Shift airs on Tuesday nights on NBC. The ATX Television Festival panel for The Night Shift is on Saturday, June 7th and the 15th Anniversary of Roswell panel is on Sunday, June 8th.